This deal is a very hot seller. LivingSocial has already sold over 700+ vouchers at the time of this post. 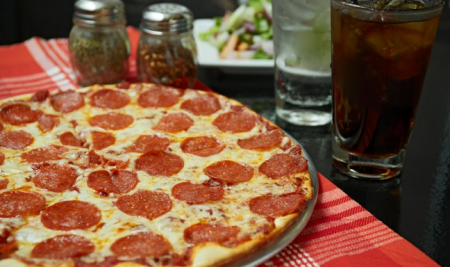 For 15 years, Best Choice Pizza has delighted diners with inventive pizza creations, fresh salads, zesty chicken wings, and catered meals of baked pasta and pizza. The pizza menu promises familiar toppings of pepperoni, salami, and mushrooms, as well as creative flourishes such as donair meat, beef tikka, and tandoori chicken. Chefs whip up traditional pie, as well as hearty circles of deep-dish, available in sizes ranging up to a colossal 36 inches for family reunions and visiting barbarian hordes. Promotional value expires 120 days after purchase. Amount paid never expires. Limit 1 per person, may buy 1 additional as gift(s). Limit 1 per visit. Valid only for option purchased. Valid for carryout only. Not valid with other offers or promotions. Merchant is solely responsible to purchasers for the care and quality of the advertised goods and services.